Cellulite is a skin condition that affects more than 85% or women. Cellulite does not result from poor diet or lack of exercise. Increased body fat does not account for the appearance of cellulite. Cellulite can be apparent on very lean females and is rarely seen in males. 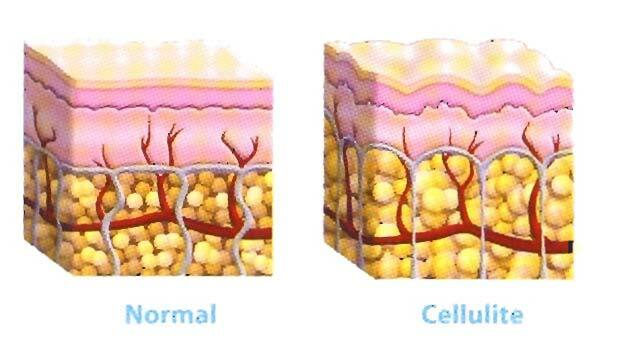 The development of cellulite is primarily caused by: hormones, vascular changes and inflammation. Cellulite can be improved with a series of painless treatments. Cellulite appears when fat cells just under the skin swell or enlarge and the once flexible collagen bands become brittle and no longer stretch properly. This is what causes the dimpled skin known as cellulite. Smooth Shapes system uses proprietary technology called Photomology to combat the problem of cellulite. This pain free treatment uses dynamic laser and light energy to liquefy fat in the enlarged cells and repair brittle collagen. Collagen is regenerated, circulation is improved and metabolic processes are restored. The contoured rollers and vacuum massage assist in moving the liquefied fat out through the lymphatic system and smooth the appearance of skin. 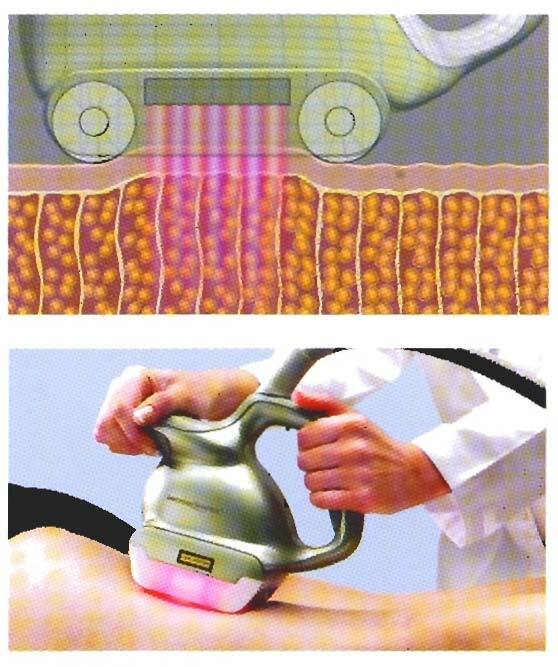 SmoothShapes is a safe, comfortable procedure providing long lasting results from the dimpled skin known as cellulite. Patients have improved skin tone and texture, with less of the "jiggle". SmoothShapes treatment typically consist of eight sessions, twice a week for four weeks. SmoothShapes system treatment professional are trained to assess your level of cellulite, determine areas that can be improved and schedule your treatment series.